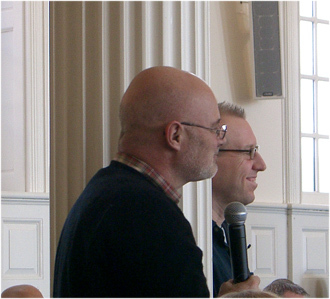 Brian McLaren, a head guru of the egregiously ecumenical Emerging Church aka Emergent Church de-formation of the Christian faith—now morphing into Emergence Christianity (EC), says, “Well done” to Christianity 21 (C 21). The regular reader of Apprising Ministries know that C 21 was put on by JoPa Productions, which is the company formed by McLaren’s friend Tony Jones—heretical “theologian in residence” at the EC church of his equally heretical, and JoPa partner, quasi-universalist pastor Doug Pagitt. As you’ll see McLaren made sure that both of the above links would take us to posts at the blog of Tony Jones at the interspiritual website Beliefnet.